How to Find a Job in Canada. Canada is filled with excellent employment opportunities, with work available in a wide range of different fields. However when you need how to find a job in Canada what we need to know is where to start our search. 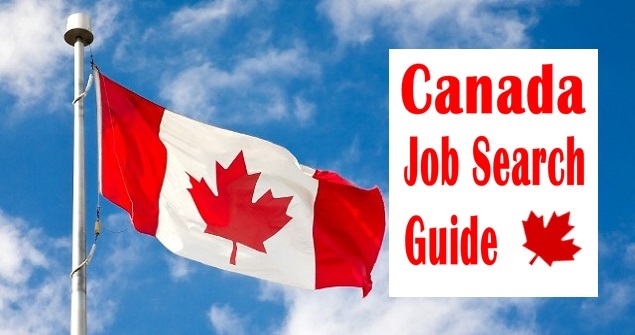 This is a helpful guide to getting your dream job in Canada. If you want to get a job in Canada, the first thing you need to do is to get an SIN or Social Insurance Number. It is important that you apply for one of these immediately upon arriving in Canada. Your first step after that is to contact one of the immigrant serving organizations as these are a good way to access job training sessions, workshops on how to write a CV, and other helpful advice on obtaining the necessary job skills you need to get employment. You could also look at the website belonging to your territory or province where you are likely to find information about finding employment in your area. There are several places to begin your job hunt in Canada. One of the best places to begin is at a job fair in your town or local district. This provides opportunities for job seekers and employers to get together and discuss vacancies. Using the services of an employment agency is a good choice if you want to cut down the leg work involved in getting a position. You will only need to attend an interview with your CV and outline your skills, qualifications and requirements and they will do all the hard work of finding suitable interviews for you. Another alternative is to look at the websites of different companies that you have in interest in working for. Most companies advertise vacancies on their web pages and sometimes it is even possible to apply online. There are many job search websites that you can visit to find daily listed opportunities. If you visit the Job Bank which can have up to 2000 jobs listed every day. You could always ask around people you know to see if they know of any jobs that you would be suited for. Usually when applying for a position in Canada, you will have to send a CV together with a cover letter of application. Your CV should outline all of your previous qualifications, experience and employment, whether or not it is relevant to the position that you are applying for. In your letter you should outline why you would be a good person to do the job in hand. If you feel that you are lacking in experience, one way of bulking up your CV is to get some volunteer experience. The Volunteer Canada website will be able to advise of volunteering roles in your local area and this will be a valuable addition to your resume. If you are a professional who is trained in your field, you may be eligible for a bridging program which will help you to obtain any necessary certification or licensing relevant to your industry. Some of these programs are free of charge however some charge a fee. You can find out about these from the professional or regulatory body linked with your trade. The FIN program (Federal Internship for Newcomers) allows those new to the country the opportunity to access work experience in Canada as well as opportunities for training. There are also several organizations that offer mentoring to newcomers to the country. While you are seeking work, it is important to find out as much as possible about your rights as a Canadian worker as well as learning about how to get Employment Insurance for as long as you are unemployed.